CONCORD AUTO BODY, INC. was started in 1969 by Tom Phillips who turned his hobby into a business, fulfilling his dream of making a living doing what he loves. Tom was joined in the business with his son and partner. Ths business has invested in top quality repair technology, training, and facilities to best serve you. To help our Technicians remain on the cutting edge of industry developments, CONCORD AUTO BODY, INC. offers comprehensive training programs. Throughout the year, the CONCORD AUTO BODY, INC. Technicians participate in certified training programs. 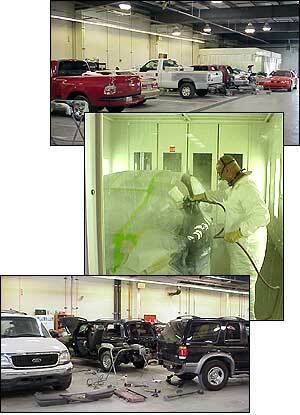 CONCORD AUTO BODY, INC. is ASE certified and the facility is an I-CAR Gold Class Shop.